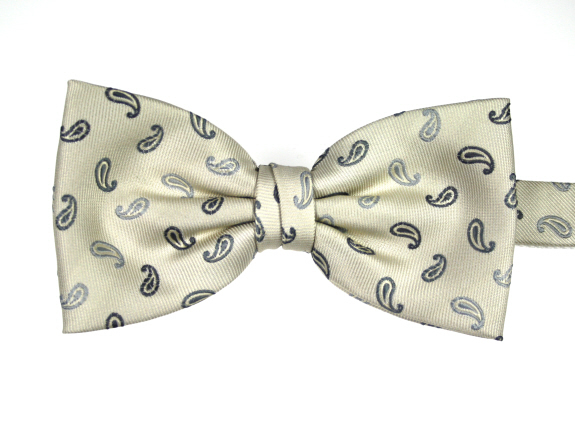 Attractive ivory bow tie with light and dark silvery neat small paisley design. Pre-tied. 100% polyester. Adjustable length 14" (36cm) to 18" (46cm) neck size approx. An ivory coloured pre-tied bow tie with light and dark silver grey square embroidered design. Fully adjustable.